For all of you that know us, you know we are big fans of Halloween. Growing up it was always one of my favorite holidays. Casey has not been feeling well off and on for a few weeks now, so we have not picked out her costume yet. She is gong back and forth between a fairy (surprise surprise), Rapunzel, or the little girl from Despicable Me. If we find a good Pinkie Pie or Twilight Sparkle costume it may make her choice even harder. Who knows what she will actually pick when she is feeling well enough to go shopping. We have been trying to do some Halloween decorations too. I still need to drag out the stuff we have stored. 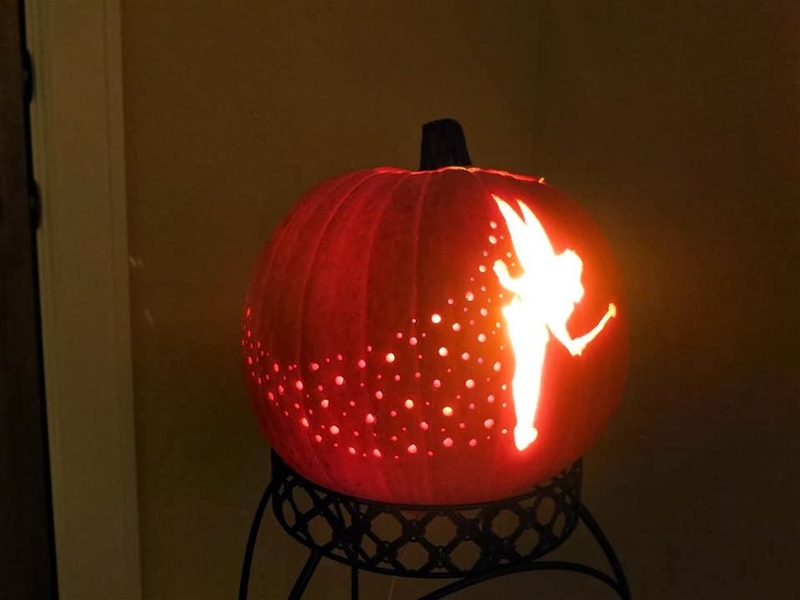 Tim made Casey a Tinkerbell Jack-O-Lantern with some help from John. 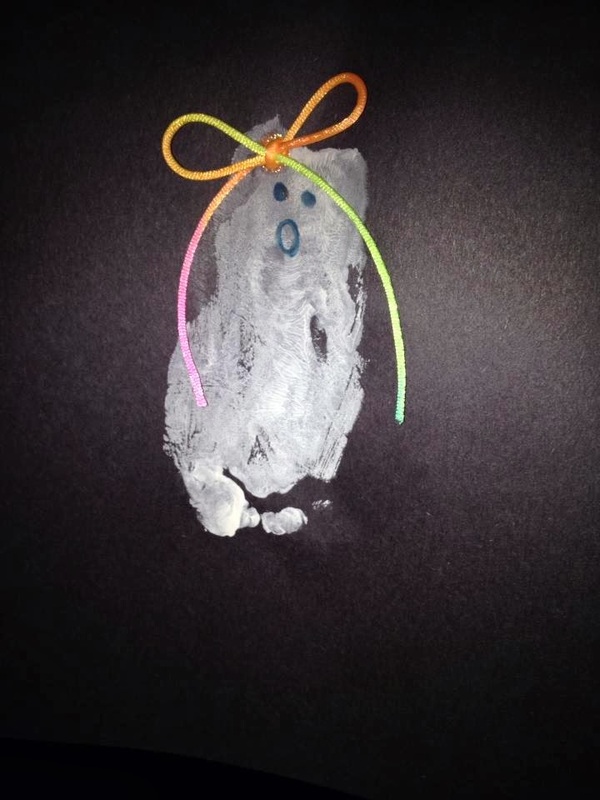 Casey made a very stylish ghost. We are setting up some creepy spider decorations too. I will have to post some pictures of the spiders when we get them all done. 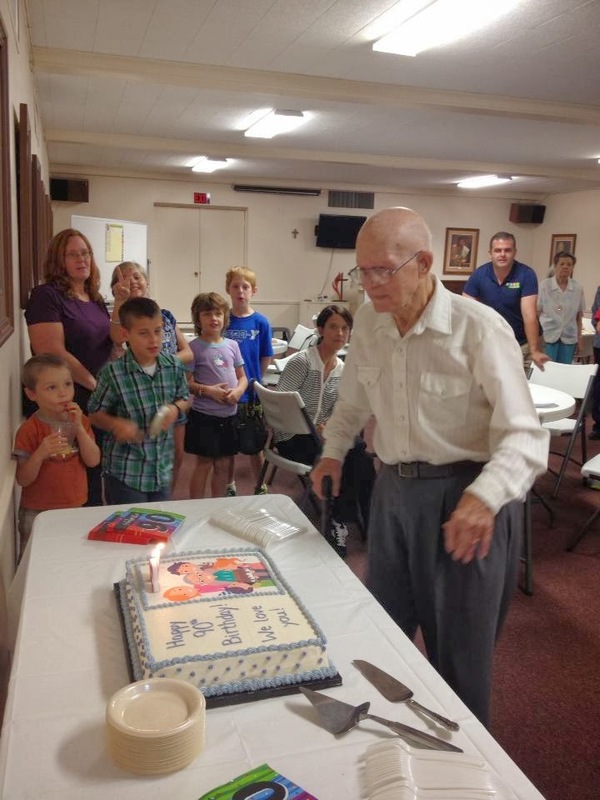 My grandpa turned 90 on October 5th. 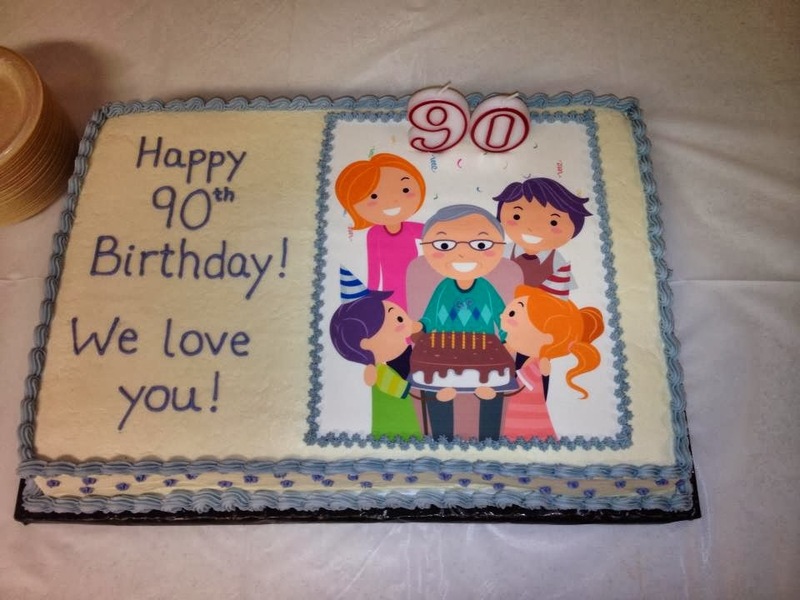 90 is kind of awesome! We had a little party for him at his old church in Temple. I think he really enjoyed it. Lots of family and friends came to wish his a happy birthday. We hired the baker that did Casey’s pony cakes to make him a special cake. It was very yummy. Unfortunately there was yet another scheduling issue with nursing (I won’t waste too much time on the details) but it led to Tim not being able to go to the party. I thought I was going to have to miss it for a little while too. Casey had a bad week prior. Luckily, she perked up just in time for me to be able to make the party while she and Tim stayed home. After the party we had a house full of family. Casey did great. I am always worried she is going to have a melt down with a full house (as she has many times in the past). 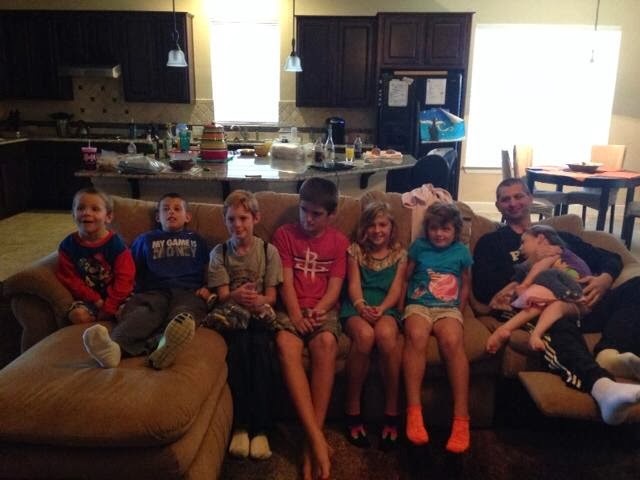 She seemed to really enjoy having her cousins over to play. Counting Casey there were 7 kids between the ages of 5-12. We broke in the new house and had a nice time. The kids decorated little pumpkins and had a lot of fun. We hope that everyone is doing well. Hopefully we can get Casey feeling better and out to pick out her costume soon. We will post more soon.